An effective proposal serves as the key to gaining access to lucrative contracts. But what does it take to create a solid proposal that will stand out above the rest? 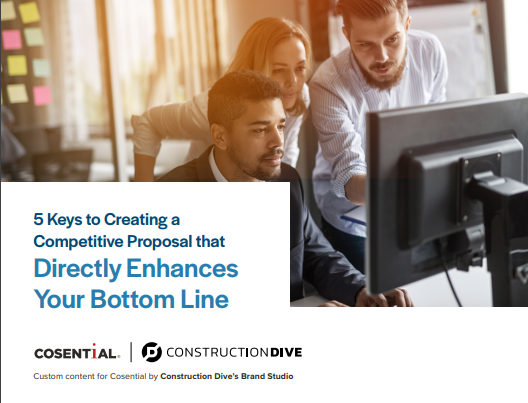 This playbook lays out the five key elements for creating a competitive proposal that will positively affect your bottom line and differentiate you from your competition. Want to get a solid proposal on the table and win your next project? The role of data organization in the proposal process. Five ways that proposal automation helps you create a competitive construction proposal. Best strategies to grow your bottom line and business.